The Japanese Fukushima radiation disaster began on 11 March 2011, nearly five years ago. To this day, there are many people concerned about traveling to Tokyo and other parts of Japan because they fear radiation exposure from Japan’s nuclear disaster. This video, produced by World Nomads explains, the true dangers of radiation in the region. The results will probably surprise you. About 300,000 people have since evacuated the area. There were no short term radiation exposure fatalities reported. A study by the World Health Organization in 2013 of the Japanese nuclear disaster effects indicated that residents of the area who were evacuated were exposed to so little radiation that radiation induced health impacts are likely to be below detectable levels. They also stated at the time that any additional cancer risk from radiation was extremely small, and chiefly limited to those living closest to the nuclear power plant. So, now you know that it is safe to travel to Japan – that your health will not be at risk. In fact, traveling is one of the best things that you can do for your health. It helps you both physically and mentally. Read this article on positivehealthwellness.com and discover the 8 Reasons Why Traveling Is Good for Your Health. Of course travel safety is an important issue that all travelers should take it seriously. 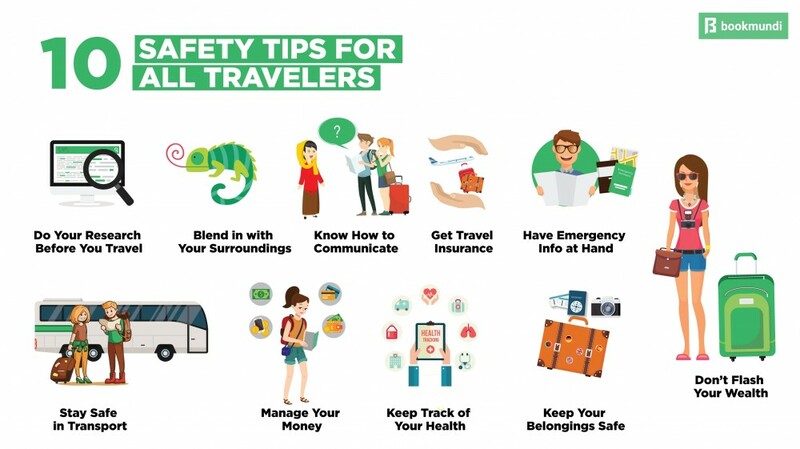 Bookmundi created this extensive travel safety guide with lots of good information and tips.